Zimbabwean judge, Justice Charles Hungwe. Zimbabwean judge, Justice Charles Hungwe, has arrived in Lesotho as the first of five foreign judges to preside over the politically sensitive criminal cases involving politicians and members of the security agencies. Justice Hungwe was sworn in on Tuesday by the Acting Chief Justice, 'Maseforo Mahase, and immediately got down to work by presiding over two cases including that of eight soldiers who stand accused of murdering army commander, Lieutenant General Maaparankoe Mahao on 25 June 2015. As first reported by the Lesotho Times, Justice Hungwe will not only preside over some criminal cases, he will also allocate trial dates for the cases which will be presided over by other foreign judges who are also expected in the country on dates that are still to be announced. Speaking in the aftermath of Justice Hungwe's arrival and swearing-in, the public relations officer of the judiciary, 'Mabohlokoa Mapikitloe, said four more judges will arrive soon. "There are five foreign judges in total to preside over the politically sensitive cases and the other four are expected to arrive soon, Ms Mapikitloe said, adding, "It is just a matter of logistics for them to be here and start work". "However, the identities of the foreign judges will only be revealed when they are here and have been sworn-in as was the case with Justice Hungwe. This is being done for security reasons." Immediately after being sworn in, Justice Hungwe presided over two cases including that of eight soldiers accused of murdering Lt-Gen Mahao. Lt-Gen Mahao was fatally shot by his erstwhile Lesotho Defence Force (LDF) colleagues on 25 June 2015 just outside Maseru. The LDF claimed Lt-Gen Mahao had resisted arrest for allegedly leading a mutiny when he was killed but that claim was dismissed as a hoax by a regional inquiry into his death. Lt-Gen Mahao was appointed as LDF commander on 29 August 2014 after Prime Minister, Thomas Thabane, fired Lt-Gen Tlali Kamoli for alleged insubordination. However, Lt-Gen Kamoli rejected the dismissal challenging its legitimacy and proceeded to launch state a coup attempt in August 2014. The coup attempt kick started a chain of events that led to snap elections in early 2015. After Dr Thabane relinquished power in the wake of the 28 February 2015 snap elections, the seven-party coalition government led by Pakalitha Mosisili reinstated Lt-Gen Kamoli, arguing that his dismissal and Lt-Gen Mahao's promotion were all illegal. Lt Gen Kamoli was reinstated in a Government Gazette dated 21 May 2015 with another gazette issued on the same day terminating Lt-Gen Mahao's appointment as LDF commander and reverting him to a brigadier. Lt-Gen Mahao challenged his demotion in the High Court with the case not seeing the light of day after he was killed on 25 June 2015 by his LDF colleagues. The LDF claimed that Lt-Gen Mahao had been shot while resisting arrest over an alleged mutiny plot. However, the army's version was dismissed by both the soldier's family and the Southern African Development Community (SADC) commission of inquiry headed by retired Botswana judge, Justice Mphaphi Phumaphi. Lt-Gen Mahao's family accused the army of killing him in cold blood, basing on the account of his nephews who were with him during the incident. Justice Phumaphi's 10-member commission carried out its investigations between 31 August and 23 October 2015 and found that Dr Thabane's appointment of Lt-Gen Mahao as army commander was legal. SADC recommended, among other things, that the government should investigate the killing of Lt-Gen Mahao and prosecute those found to be responsible. The eight soldiers who were arrested and face charges of murdering Lt-Gen Mahao are Captain Litekanyo Nyakane, Captain Haleo Makara, Sergeant Lekhooa Moepi, Sergeant Motsamai Fako, Corporal Marasi 'Moleli, Corporal Motšoane Machai, Corporal Mohlalefi Seitlheko and Corporal Tšitso Ramoholi. And on Tuesday, Justice Hungwe postponed their case to 1 April this year. "I have decided to postpone the case to 1 April. The High Court registrar is also directed to write to lawyers proposing three alternative dates for the pre-trial conference between the dates of today (15 January) and the end of February 2019. On the day of the pre-trial conference all issues regarding the trial such as exchange of documents, including witness statements, shall be finalised," Justice Hungwe ordered. During the previous court appearance of the eight soldiers on 6 November 2018, Acting Chief Justice Mahase set 15 to 25 January 2019 as well as 1 to 5 April 2018 as the trial dates for the murder case. Justice Hungwe also presided over another case in which five soldiers, namely, Captain Litekanyo Nyakane, Lance Corporal Khauhelo Makoae, Lance Corporal Sebilo Sebilo, Privates Tṧepo Tlakeli and Thebe Tṧepe are alleged to have murdered Thabang Mosole, Monyane Matsie and Pakiso Ntala Letatabe in Ha Motanyane in Mafeteng in 2012. Justice Hungwe postponed the case to 19 February 2019 for a pre-trial conference which will in turn determine the date for the commencement of the trial. Justice Hungwe will now turn his attention to setting dates for the hearing of all the politically sensitive criminal cases involving politicians and members of the security agencies. This is being done so that when the other foreign judges arrive, they will get down to the business of hearing the cases. 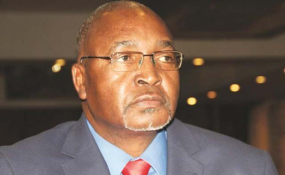 Other cases remanded to 18 to 24 January 2019 include those of former army commander, Lt-Gen Tlali Kamoli, former police commissioner Molahlei Letsoepa and former Defence Minister, Tšeliso Mokhosi. Lt-Gen Kamoli faces a murder charge stemming from the 30 August 2014 killing of Police Sub-Inspector, Mokheseng Ramahloko. Sub-Inspector Ramahloko was shot and killed by soldiers during the attempted coup of 30 August 2014 at the Police Headquarters in Maseru. The soldiers who allegedly acted on the instructions of the then army commander, Lt-Gen Kamoli, also raided several other police stations in Maseru and seized an assortment of weapons. Lt-Gen Kamoli also faces 14 counts of attempted murder in connection with the 27 January 2014 simultaneous bombings of the Moshoeshoe II homes of First Lady Maesaiah Thabane and the Ha Abia residence of former police commissioner, Khothatso Tšooana. He is charged alongside Major Ramoepane, Captain Litekanyo Nyakane, Sergeant Heqoa Malefane and Corporal Mohlalefi Seitlheko. Major Ramoepane faces a separate murder charge in connection with the 5 September 2017 assassination of army commander Lt-Gen Khoantle Motšomotšo. The cases involving Lt Gen Kamoli have been remanded to 23 January 2019. On 22 January 2019, Justice Hungwe will set a date for the hearing of the murder case involving former Defence minister Tšeliso Mokhosi. Mr Mokhosi faces charges of murdering Police Constable (PC) Mokalekale Khetheng. He was charged along with former police commissioner Molahlehi Letsoepa and four other police officers. The other officers are Senior Superintendent Thabo Tšukulu, Superintendent Mothibeli Mofolo, Inspector Mabitle Matona and Police Constable Haleokoe Taasoane who are all currently on suspension from the police service. Messrs Mokhosi and Letsoepa are in exile while the four officers are still detained at the Maseru Maximum Security Prison. On 24 January 2019, Justice Hungwe will set a date for the trial of the 10 soldiers accused of strangling Lekhoele Noko, Molise Pakela and Khothatso Makibinyane at Setibing in rural Maseru on 16 May 2017 and dumped their bodies in the Mohale Dam. The 10 soldiers are Brigadier Rapele Mphaki, Sergeant Lekhooa Moepi, Captain Mahlehle Moeletsi, Lance Corporal Mahlomola Makhoali, Private Nthatakane Motanyane, Motšoane Machai, Tieho Tikiso, Pitso Ramoepana, Liphapang Sefako and Nemase Faso. The soldiers allegedly kidnapped and murdered the three men after the trio had just been released from police custody where they were detained in connection with a shooting incident that occurred at the Maseru border gate on 13 May 2017. The Minister of Justice and Correctional Services, Mokhele Moletsane, is on record saying that the decision to engage foreign judges was taken to protect local judges from possible victimisation and backlash from trying the "politically sensitive cases". Mr Moletsane said while the local judges were competent enough to try the cases, the government and the Southern African Development Community (SADC) still felt it necessary to engage foreign judges because the cases in question were politically sensitive. He further said that the verdicts of the foreign judges were less likely to be viewed as biased. "It has never been about the incompetency of local judges as the government believes they are capable enough to preside over the cases. "However, the government and SADC agreed that due to the nature of the cases which are said to be politically sensitive, it would be best to source foreign judges because local judges are at risk of being victimised for the verdicts they would give for the cases," Mr Moletsane said.